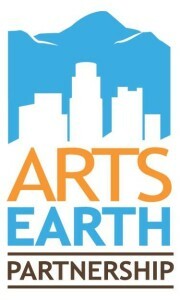 The Arts: Earth Partnership (AEP) is an environmental sustainable certification program and dynamic materials resource exchange specifically developed for the creative sector. Endorsed by the cities of Los Angeles and Santa Monica, the Cultural Affairs Departments of both have pledged resources and incentives to assist member organizations. The BGA (formerly Broadway Goes Green) was launched in 2008 as an ad hoc committee of The Broadway League. The BGA brings together all segments of the theatre community, including producers, theatres in New York and around the country, theatrical unions and their members, and related businesses. Working closely with the Natural Resources Defense Council, the BGA identifies and disseminates better practices for theatre professionals and reaches out to theatre fans throughout the country. Public Art Sustainability Assessment or PASA is an initiative by Chrysalis Arts to promote good sustainable practice in public art. It is available for artists, commissioners and anyone else who may be involved in the development, creation, maintenance and decommissioning of public art. It is distributed free of charge to promote sustainable practice in public art as widely as possible and to provoke action for change where it is needed. Engage by Design (EbD) is a Sustainable Design Research Studio co founded by Zoë Olivia John & Rodrigo Bautista. EbD specialises in designing strategic interventions that aim to support the transformation of a product or service into a more sustainable one. They act as a platform that enables dialogues and actions between a diverse range of disciplines around sustainability and design through creative outputs and workshops. We help to empower our partners and collaborators to generate meaningful change through opening conversations & providing space for reflection. The Green Arts Initiative supports Scottish arts organisations to be at the forefront of growing an environmentally sustainable Scotland. 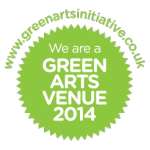 Run by Creative Carbon Scotland and Festivals Edinburgh, it’s a simple accreditation scheme designed to give venues and organisations the advice, support and tools they need to become greener and let audiences and the public know what they are doing. Creative Carbon Scotland will also support Green Arts organisations to get further industry accreditation where appropriate, including Julie’s Bicycle Industry Green accreditation and ISO20121. To download the Green Arts Initiative one-pager click here. Click here to download our annual Green Arts Initiative report from 2013. 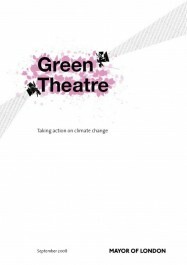 The Green Theatre Programme for London is the Mayor’s response to the overwhelming concern of the theatre sector to reduce any negative impact on the environment. This plan is for anyone working in London’s theatre industries. If all actions recommended in this plan are taken, London theatres can reduce their CO2 emissions by almost 60 per cent by 2025. Established in 2007 by leading figures in the UK music industry, Julie’s Bicycle is a non-profit company working across the arts and creative industries, providing expertise in environmental sustainability to over 350 organisations in the UK and internationally. JB offers practical advice, tools, resources and Industry Green environmental certification, informed by world-leading research into the environmental impacts of the creative industries. Mo`olelo Performing Arts Company was founded in 2004 as a community-focused, socially-conscious, Equity theater company. Since their inception, they made a commitment to represent diverse voices on stage, pay local San Diego actors Equity wages, health and pension, and focus on serving their community. In 2006 they started realizing that our socially-conscious operations conflicted with the reality that theater, as it is traditionally practiced, can be damaging to the environment. From the woods, paints, dyes and energy used to the seasonal nature of theater, our industry is consistently creating toxic waste at a high rate with each production. In recognition of this problem, and as a natural extension of our socially-conscious principles, Mo`olelo developed a greening initiative in January 2007. Through consultations with LEED-Accredited Professional Preeti Gupta (LEED – Leadership in Energy and Environmental Design – is the U.S. Green Building Council’s standards designation), the first step was to develop the GREEN Theater Categories and Sustainable Guidelines. In Fall 2008, Mo`olelo received a MetLife/TCG A-ha! Think it, Do it grant to research and develop a tool to measure the environmental impact of theater and help the industry make choices that do not cause long-term damage to our communities. We partnered withBrown & Wilmanns Environmental, LLC and adapted their “Green Choices” methodology to theater. The Green Exhibit Checklist is a tool to evaluate the environmental sustainability of exhibits. The goal of the Checklist is to inspire exhibit/design teams to plan exhibits with environmental considerations in mind. REFOCUS provides a roadmap for developing a transformation program that can actually establish sustainability as a key priority. The program delivers advanced theory, executable know-how, and a wealth of supplementary resources that help put learning into practice. REFOCUS helps leaders build the capacity needed to maximize the benefits of pursuing sustainability. Once it’s recognized that sustainability can strengthen the bottom line, decision makers will be naturally motivated to invest. REFOCUS is applicable to a variety of audiences including students, consultants and industry professionals alike. At its core, this education was designed for leaders responsible for improving the sustainability of their organization; whether starting from scratch or taking an existing sustainability program to the next level. The experience can be applied to businesses, non-profits, and government bodies alike and is best suited to small and medium-sized organizations. The Theatres Trust is the National Advisory Body for Theatres, protecting theatres for everyone. Ecovenue is a signiﬁcant theatre-speciﬁc environmental project being run by The Theatres Trust. It aims to improve the environmental performance of forty-eight London theatres and raise awareness of how to make theatres greener. Ecovenue is promoting the sustainability of theatres and the reduction of carbon emissions through the provision of free theatre-speciﬁc, environmental advice. 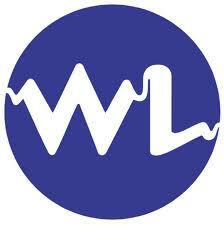 The UK’s premier entertainment lighting supplier. They supply everything from the smallest school play to the largest West End musical, as well as countless conferences, corporate dinners, parties, events and exhibitions.